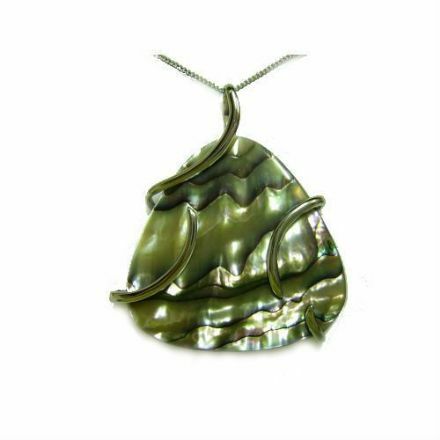 Abalone Tri Wrap Pendant in Sterling Silver is a beautiful and unique piece of Jewellery. Comes complete with a delightful Silver chain. 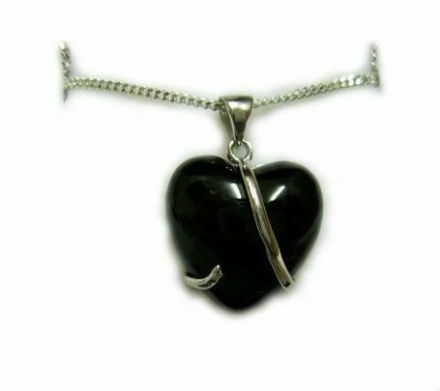 A unique piece of jewellery is this Black Onyx Heart Wrap Pendant. Comes complete with a Sterling Silver Chain. 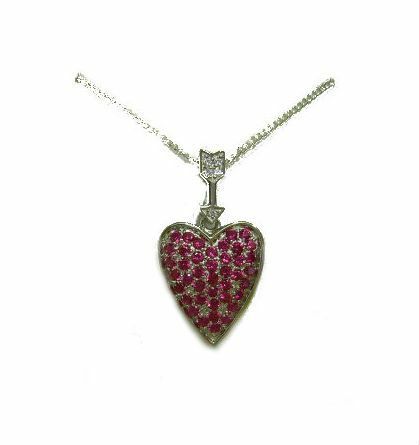 Beautiful is the only way to describe this Created Corundum Ruby, Heart Pendant in Sterling Silver. Complete with a lovely presentation box. 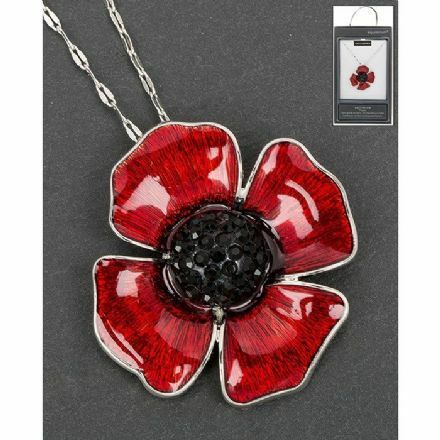 Delicate Poppy Pendant and Chain. It also comes complete with a lovely Gift Box. 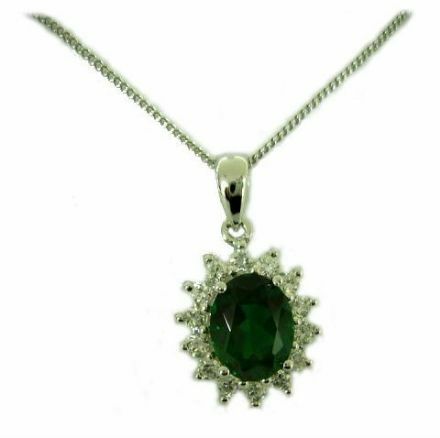 This beautiful Emerald Oval and Zirconia Pendant with an 18 inch chain in Sterling Silver would make a lovely present. 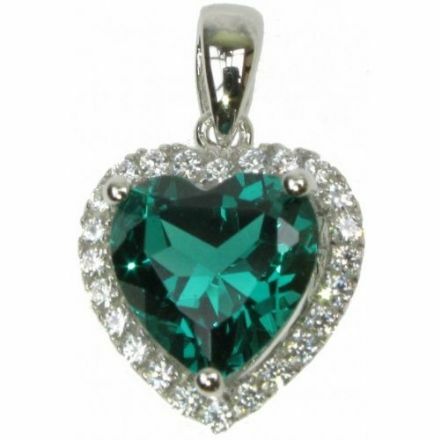 This stunning Emerald Heart and Cubic Zirconia Pendant with an 18 inch chain in Sterling Silver would make a lovely gift. 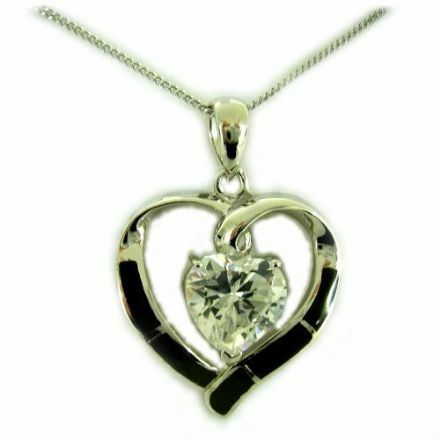 A beautiful Enamel Heart Cubic Zirconia Pendant in Sterling Silver. Comes complete with an 18 inch Chain. 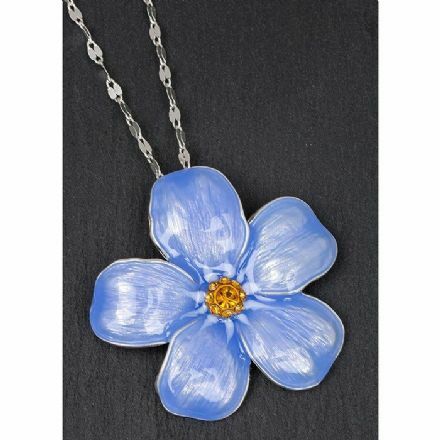 Forget Me Not Silver Plated Chain and Pendant. Comes complete with a lovely Gift Box. 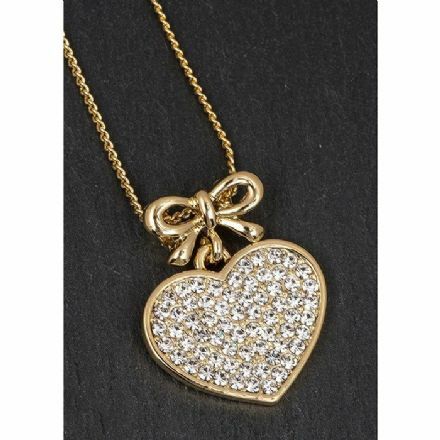 Gold Plated Bow Hanging Heart Necklace. Comes complete with a lovely Gift Box. 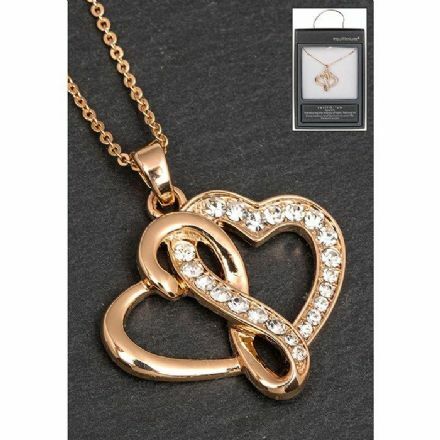 Gold Plated Entwined Hearts Necklace. Comes complete with a lovely Gift Box. 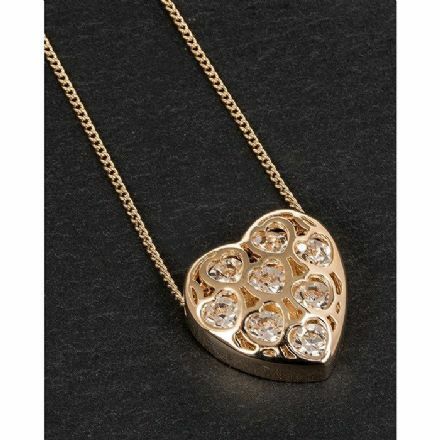 Gold Plated Filigree Crystal Heart Necklace. Complete with a Gift Box. 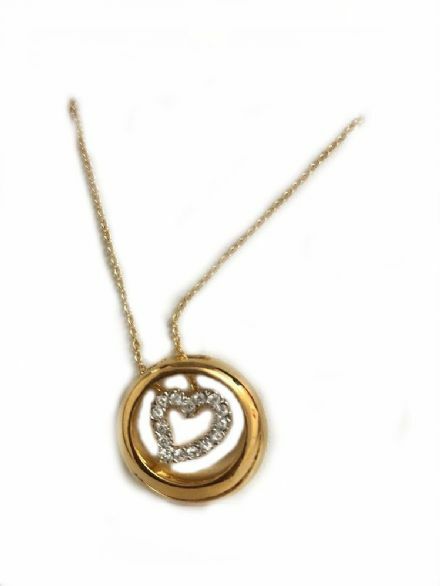 A lovely Inner Heart Pendant which is 22ct Gold and Rhodium Plated. Comes complete with a 16 inch chain which has a 2 inch extension. 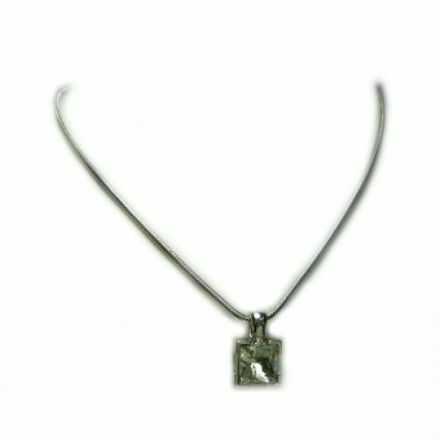 This stunning Magnetic Hematite Necklace is ideal for that special occasion. Comes complete with a gift box. Beautiful and unusual piece of jewellery is this Magnetic Hematite Necklace. An ideal present complete with gift box. Plated with Rose Gold Sparkle Ring Necklace. Also comes complete with a lovely Gift Box. 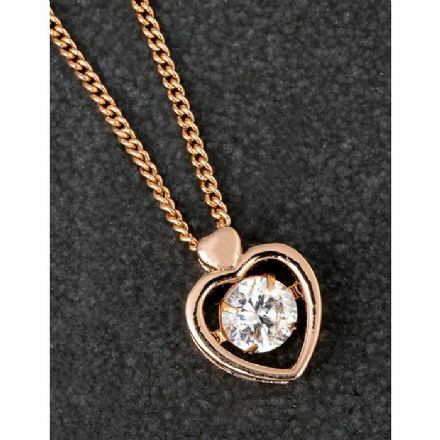 Plated with Rose Gold Tumbling Crystal Heart Necklace. Also comes complete with a lovely Gift Box. 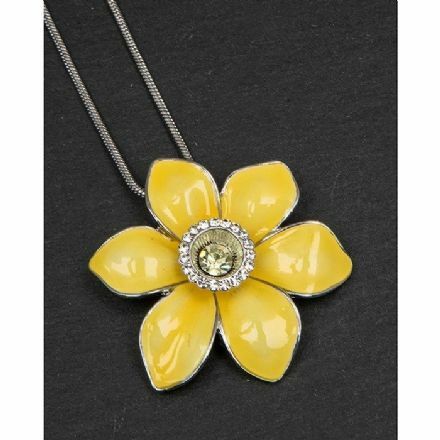 Radiant Daffodil Necklace. It comes complete with a lovely Gift Box. 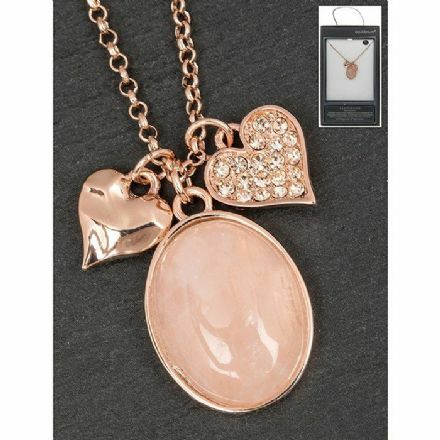 Rose Quartz and Hearts Necklace. Complete with Gift Box. 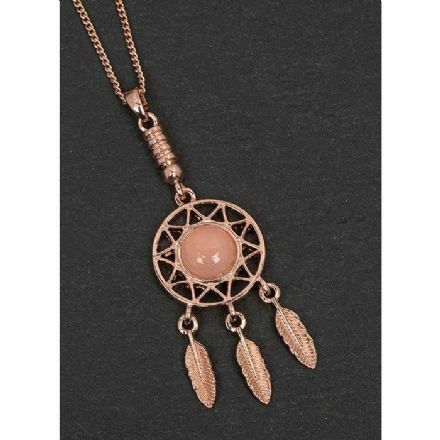 Rose Quartz Dreamcatcher Necklace. Comes complete with a lovely Gift Box. 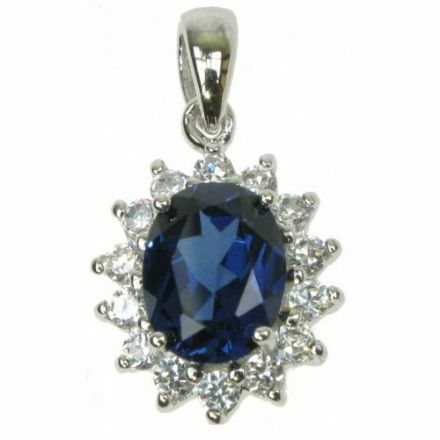 Sapphire Oval Cubic Zirconia Pendant with an 18 inch chain set in Sterling Silver is a very charming piece of jewellery. 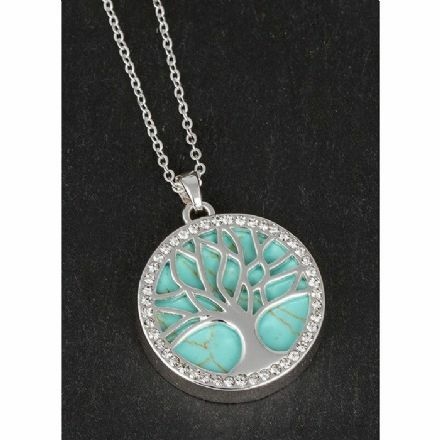 Semi Precious Turquoise Tree of Life Necklace. Also comes complete with a lovely Gift Box. 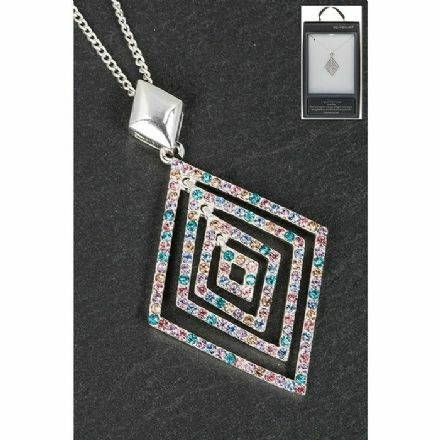 Silver Plated Rainbow Diamond Shaped Pendant with Necklace. Also comes complete with a lovely Gift Box. 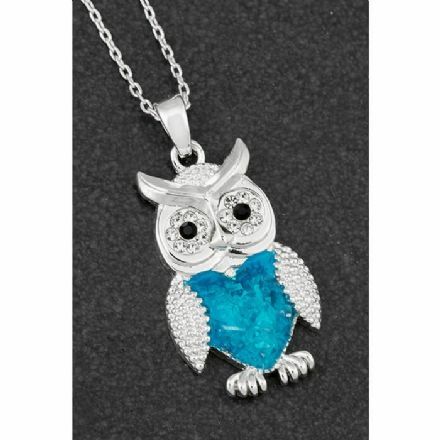 Silver Plated Sea Breeze Owl and Necklace. Comes complete with a lovely Gift Box. 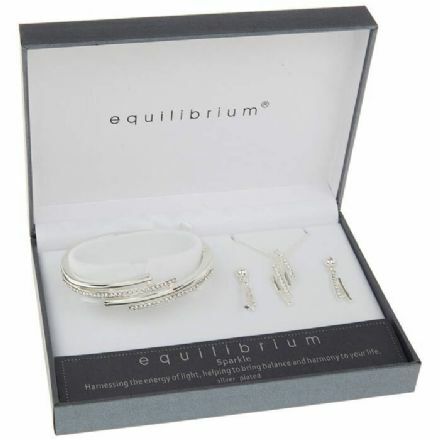 Silver Plated Sparkle Lines Necklace, Bracelet & Earrings Set. Also comes complete with a lovely Gift Box. 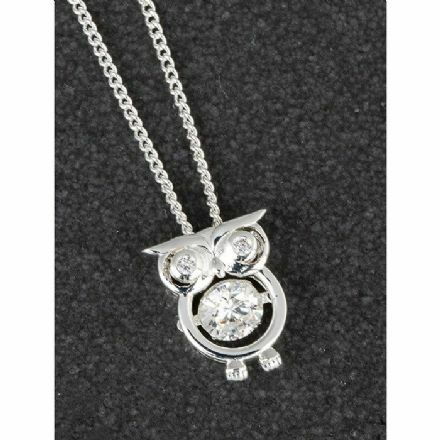 Silver Plated Tumbling Crystal Owl Necklace. It comes complete with a lovely Gift Box. 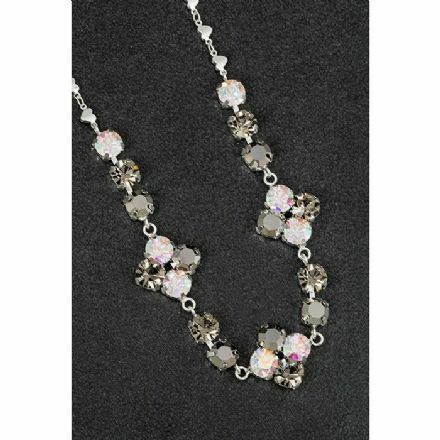 Sparkle Brightly Glamour Dark Cluster Necklace. Also comes complete with a lovely Gift Box. 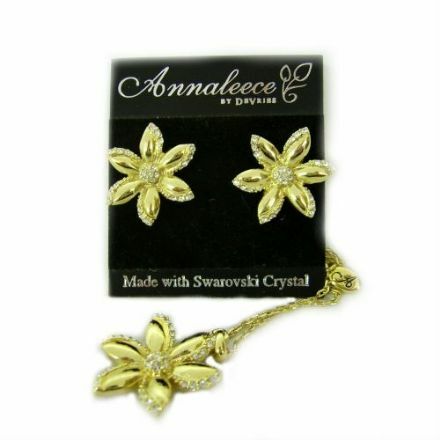 This stunning Gold Plated Summer Flower Earrings and Pendant Set are so beautiful you will look fabulous wearing them. 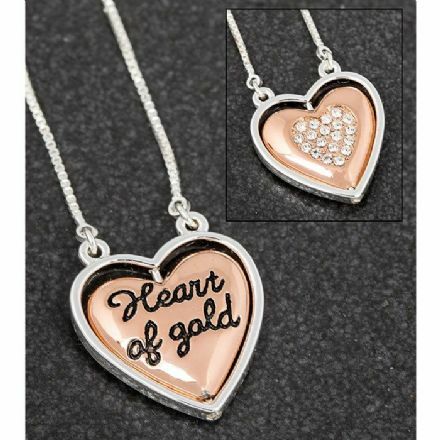 Two Tone Heart of Gold Necklace. Complete with a Gift Box. 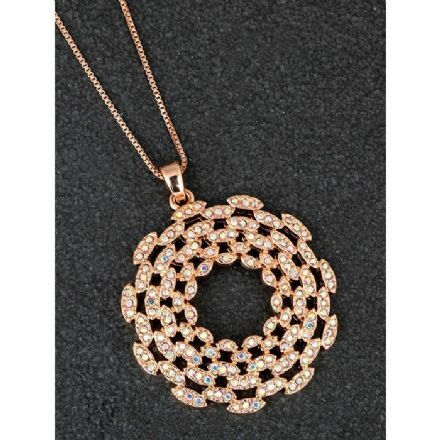 This Rhodium Plated Pendant called Vogue is just stunning. It comes complete with a 16 inch chain with a 2 inch extension. 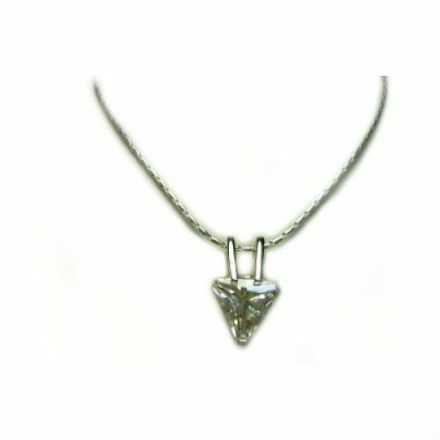 Whimsy, is a lovely Rhodium Plated Pendant complete with a 16 inch chain and a 2 inch extension.